The Holcomb Bus Service that provides busing for children in Barrington experienced a 61 percent initial out-of-service fail rate, according to the recently released School Bus Inspection Reporting System. 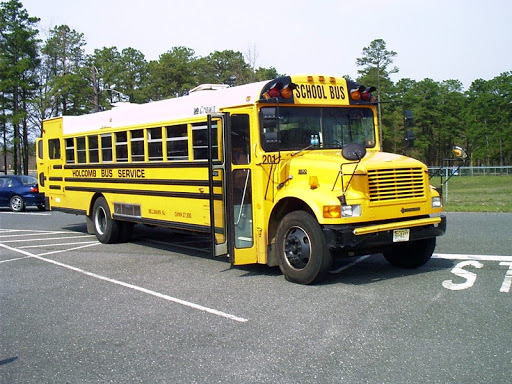 All state-registered buses are inspected twice each year, according to the N.J. Motor Vehicle Commission. Those inspections result in about 47 percent of buses being temporarily placed out-of service while about 12 percent are issued 30-day rejection stickers. Of the 277 Holcomb buses inspected in the past six months, 38 percent received an initial passing grade and three buses were given the 30-day provisional pass. The state’s bus report card website offers specific details on all the inspected buses, including bus number, license plate, inspection date, whether it passed its reinspection by the state and details about why the bus failed, if applicable. At the most recent school board meeting, board members discussed the possibility of purchasing buses instead of continuing the approximately $250,000-per-year relationship with Holcomb. Follow-up discussions are expected in coming months. This entry was posted on October 25, 2012 by Barrington Bulletin in Safety, Schools and tagged bus, buses, inspection, school board.